This morning, Matt Swaim (of Sonrise Morning Show fame) and I had a great discussion about the announcement that Borders is filing for Chapter 11 bankruptcy, the impact technology is having on the publishing industry and the local Catholic bookstore as an important part of our culture. As Matt said, there’s something about going into your local Catholic bookstore and kibbitzing with the workers and patrons about what’s new and exciting in Catholic literature, what’s trending in the Catholic culture and what’s happening in the local (diocesan) Church that absolutely satisfying and simply cannot be fully replicated on a screen. Losing our enthusiasm for “real” books – as opposed to eBooks and other on-screen resources could mean losing out on the human experience. The fact that a bookstore giant like Borders can’t make it signals that something’s up. There are many contributing factors, but what it really boils down to is that people are choosing to spend their money elsewhere – like on eBooks, which is an ever-increasing market. Are we anti-technology? Certainly not! Matt and I both agreed that technology is a useful – and at times indispensable – tool for our daily living. We just don’t want to see the amazing, sensory experience of holding a book in your hands, taking in the color and texture, allowing your eyes to pass over the words and your mind to meander through its content to disappear. 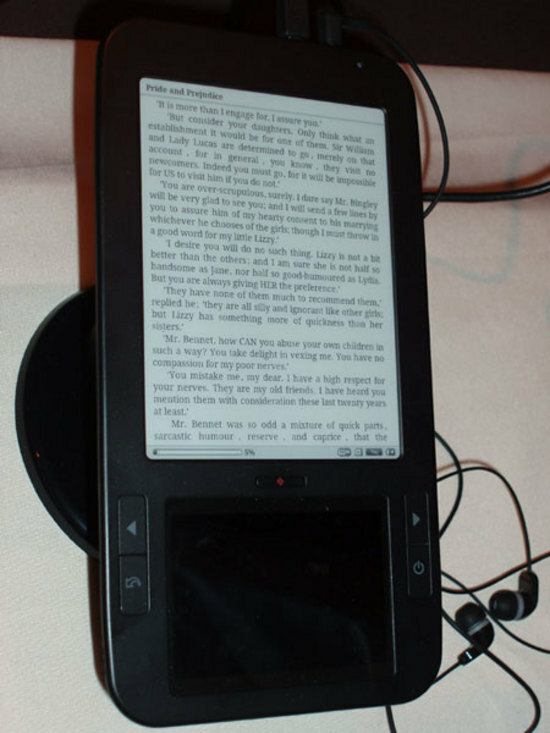 – Over this past Christmas holiday, eBooks outsold printed books. – Of the top 50 titles on USA Today’s Best-Selling Books list, 19 had higher eBook than print sales. – eBook sales account for 9% of the market. – Americans are buying fewer books; sales fell nearly 5 per cent in 2010. This figure does not include sales by retailers such as Walmart, however. – A study released in October 2010 by the University of Bristol revealed that kids who spend more than 2 hours in front of a screen of any kind are 61% more likely to have increased psychological difficulties. – Moderate to vigorous daily activity did NOT lower the risk of psychological difficulties for kids with 2 or more hours of screen time a day. In other words, it’s the screen time, not the lack of physical activity that increases the likelihood of psychological difficulties. – Researchers also noted that sedentary behaviors such as reading or socializing have a beneficial impact on psychological well-being. If you think that this is just “kids’ stuff”, consider the group of five neuroscientists who spent a week this past May in a remote area of southern Utah, sans any kind of gizmo whatsoever. It was just them and Mother Nature, and they spent their time camping, rafting, hiking, conversing, and sometimes just enjoying the peace and solitude in silence. By the third day, they had discovered “Third-Day Syndrome”. Time had slowed down for them and they had become more reflective, quieter, their attention more focused and their thoughts more clear. Results of their study suggest that an over-abundance of digital stimulation (i.e. screen time) can lead to poor decision making. This isn’t to suggest that technology is bad in and of itself. As my friend Matt said, “We’re not trying to be curmudgeons” about gizmos in general. However, we do have to think carefully about how we’ll move into the future and the way we make use of the technology available to us, because it could impact our lives in ways inconceivable – until it’s too late. Are you in the Catholic lane?